When it comes to creating newsletters or emails, you often encounter an age-old dilemma. How can you grab and retain your customer’s attention without losing the complete message you want to share? You are not alone. Unfortunately, there seems to be a fine line between writing too little and writing too much. Write too little and your consumers do not get enough information. Write too much and you lose your customer’s attention. Or worse – cause them to disregard the email or newsletter completely. So how do you find a good balance? Yes, finally! The Inverted Pyramid Model: A simple and easy framework to help you achieve a balance. Like any good plan of action, you should have a clear idea of what is the main goal of the email. You know what is the most valuable information that you want to share with your readers. 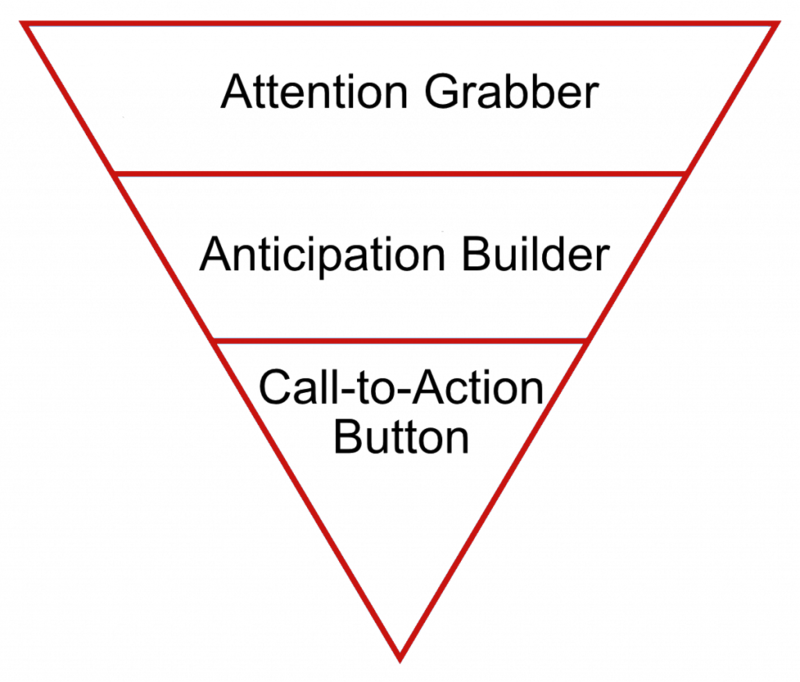 Basically, the Inverted Pyramid Model suggests that the most important information should be placed at the top of the story. Meanwhile, the less important information should be placed below. You can structure your content by organizing your images, text, headers, and buttons in an effective way. You will be able to allure your reader’s attention and communicate key messages. In fact, make your statements short and sweet. Then, you are on your way to higher click-through rates. 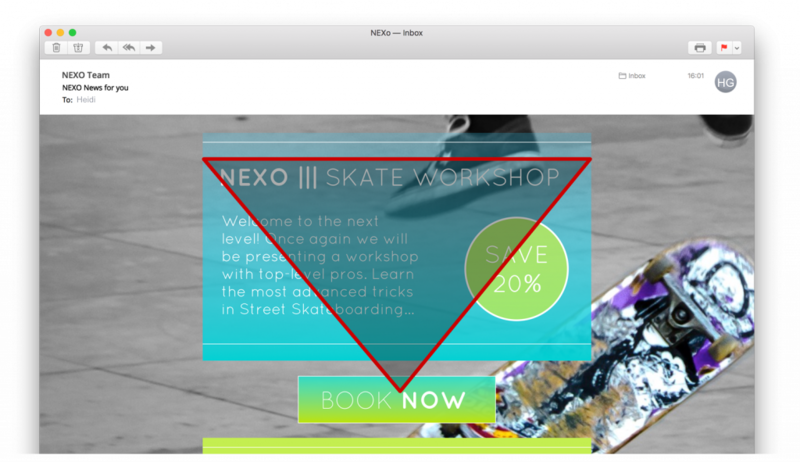 How will the Inverted Pyramid Model affect my business and my customers? Consumers have a smaller attention span when they are reading online versus on paper. How come? Because there are plenty of stimulus available with just a click of a button. 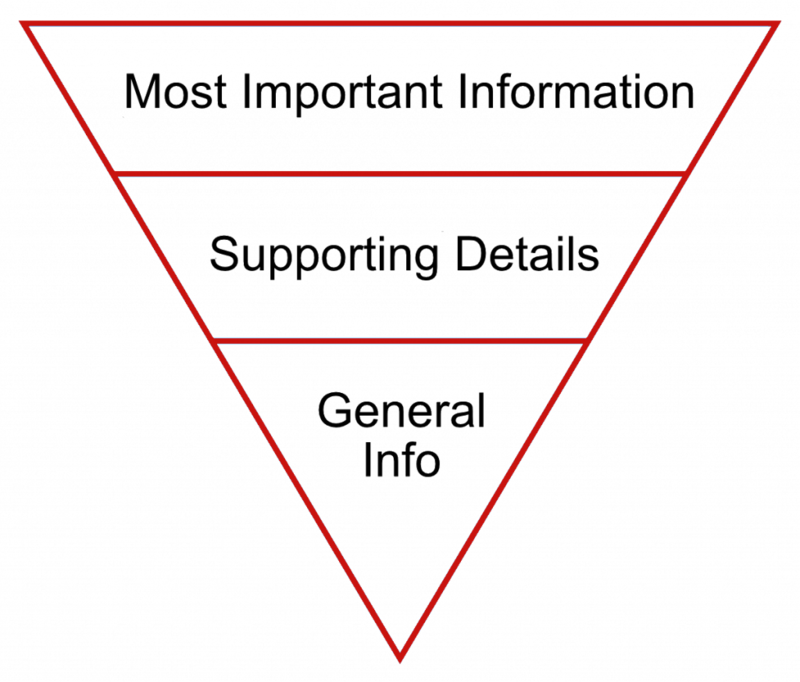 By using the Inverted Pyramid Model, you can depict more information in a smaller space or add a summary of the vital information. This way, you can increase your chance of retaining the consumer’s attention. Also, your customers are happier too. They can now access the main point of the story right at the beginning of the newsletter. 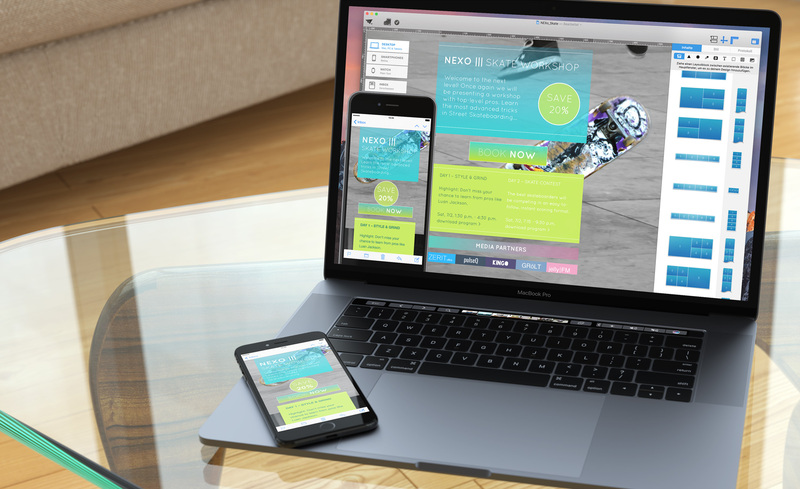 When it comes to email or newsletter campaigns, your goal is to create a concise headline. The headline should summarize the key content of the campaign at the top of the Inverted Pyramid Model. Then, aim for the middle portion of the pyramid to include more detailed, supporting information. The middle part helps convince the consumer to click. Once you have grabbed their attention and built their anticipation, you should wrap it up with a call-to-action button. Place the button at the bottom of the pyramid. 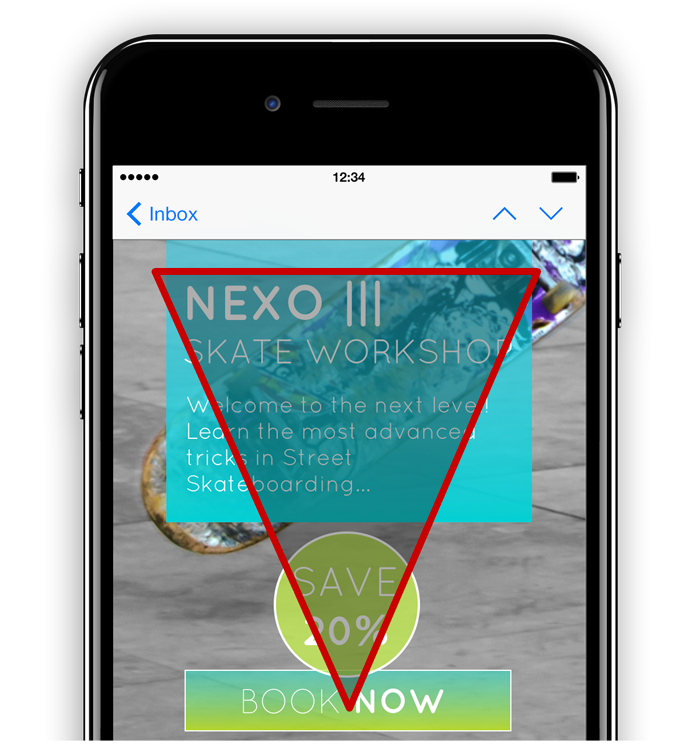 The Inverted Pyramid Model works well for single campaign emails as well as multiple campaigns emails. 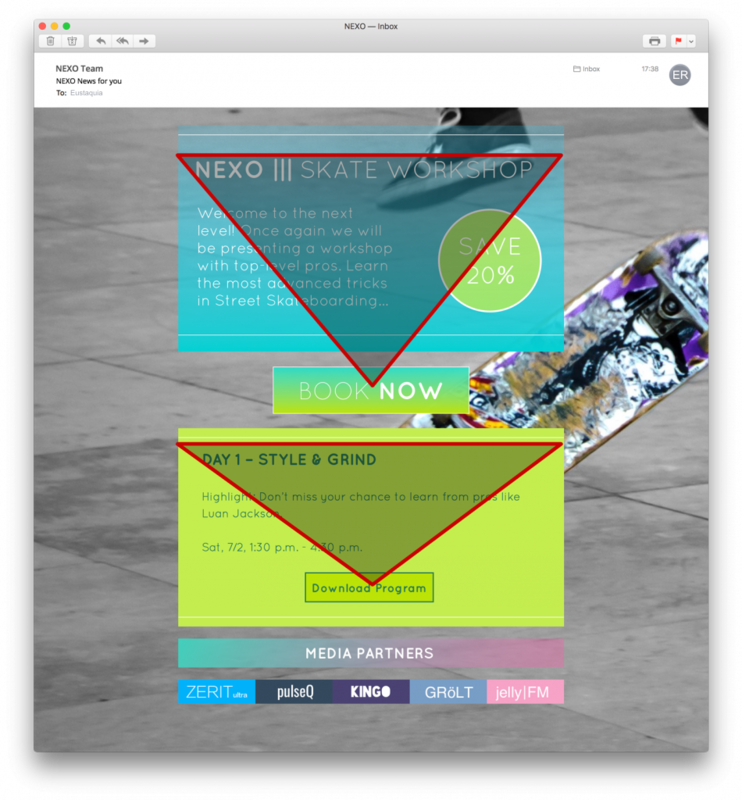 As long as you apply the Inverted Pyramid Model for each campaign within the email or newsletter, it will still be effective. Powerful imagery can help magnify the effectiveness of the Inverted Pyramid Model. Similar to a compelling header, the content’s imagery is also an important element when it comes to grabbing your reader’s attention. Whatever the content may be, the image should help show the complete message that the campaign is trying to convey. Remember to use images that relate to the campaign rather than a random image. 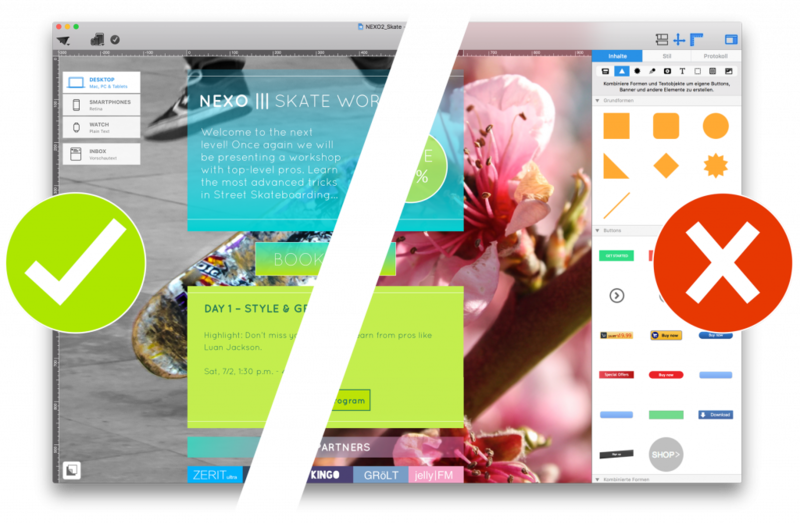 Imagine reading a newsletter about skateboards with a huge image of flowers. It doesn’t make sense, right? Irrelevant images are distracting and confusing. They will shift the focus away from the key message of your email/newsletter. They may even cause the readers to view the campaigns as clickbaits. We have grabbed their attention and built their suspense. Now, it’s time to reel them in to act with a call-to-action button. Adding a meaningful call-to-action button will serve as the finishing touch to any email or newsletter campaign. Why not use a link? Call-to-action buttons are more effective at getting a click-through compared to call-to-action links. Why is it more effective? Because call-to-action buttons are much easier to notice and pinpoint. Also, most readers unconsciously place more trust on buttons than on text links. Just look at the example below. Which one are you more tempted to click?